Who is Mohammad Mohammadi Reyshahri? Why Did He Come to New Zealand? According to an Iranian news report, a very senior Iranian official and his entourage recently visited New Zealand. Ayatollah Mohammadi Ray-Shahri and his entourage visited Malaysian Hajj Organization and its Investment Fund here on Friday and discussed issues of mutual interest with the Malaysian officials. In a meeting with the Malaysian Hajj Investment Fund officials, they expounded on services of the organization especially the financial support given to the pilgrims. Malaysia has an annual quota of 26,000 pilgrims for Hajj and 190,000 candidates are awaiting their turn. Ayatollah Ray-Shahri and his accompanying delegation, who arrived in Malaysia Thursday evening from New Zealand, will stay there until Tuesday. I have found no other record of this man's visit to New Zealand. An extremely high-ranking figure in Iran, I would have thought there would have been at least some media comment. Who is this Ayatollah Ray-Shahri? Why did he come to New Zealand? Why might it be significant? Ray-Shahri is also known as Rayshahri and Reyshahri. I will use the most common spelling, Reyshahri. Reyshahri was born Mohammad Mohammadi Nik in 1946 in the city of Ray, near Tehran. In 1960, he entered Burhaan Theological School in Ray. 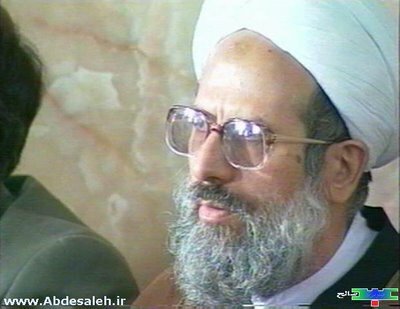 He finished his seminary studies in Qom just before the victory of the Islamic Revolution. Reyshahri married the nine-year old daughter of Ayatollah Ali Meshkini in 1968. It was Ayatollah Meshkini who first called him "Reyshahri" (of the city of Ray). After the Islamic Revolution's victory, Reyshahri held various positions in public office, including chief judge of the Military Revolutionary Tribunal in the immediate post-revolution period. He was also the first Iranian Minister of Intelligence under Prime Minister Mir-Hossein Mousavi. The Iranian parliament passed legislation on creating an intelligence agency in 1983 and the Intelligence and Security Ministry was established the next year in an effort to eliminate competition between numerous institutions and committees. Reyshahri headed the ministry from 1984 until 1989. He later served as prosecutor of the Special Court for the Clergy. In Iranian dissident circles Reysharhri is regarded as one of the Iranian revolutions most senior criminal/politicians. Most famous achievements of Reyshahri has been the discovery of two abortive coups: Nozheh coup, which was supposed to happen on July 8, 1980 by supporters of Shapour Bakhtiar, and was reported to Reyshahri by Saeed Hajjarian, and the Ghotbzadeh coup, which led to the execution of Sadegh Ghotbzadeh and the removal of Ayatollah Kazem Shariatmadari from being a marja by the Society of Teachers of the Qom Hawza, and his later death (of cancer) in April, 1986. Others have implicated Reyshahri in ordering the machinegun assassination of leaders of the Democratic Party of Iranian Kurdistan, Sadeq Sharafkandi, Fattah Abdoli, Homayoun Ardalan and their translator Nouri Dehkordi at The Mykonos Restaurant, Berlin in 1992. The delegates of the PDKI were in Berlin for a conference of the Socialist International, held from September 15th to the 17th of that year. The Berlin Supreme Court trial, which concluded in April 1997, convicted one Iranian and four Lebanese for the murder of the four men. The German judge said that the order to assassinate the Iranians came from Tehran. The origins of the Mykonos attack can be traced to the decision by the IRI’s Special Affairs Committee to appoint Hojjatoleslam Ali Fallahian, then Iran’s Minister of Intelligence, to oversee the elimination of PDKI's leadership. The Special Affairs Committee was established after Ayatollah Khomeini’s death in 1989 to make decisions on important matters of state. The committee's existence is not provided for by the constitution. The fact that the Supreme Leader, Ayatollah Ali Khamenei, is the head of the committee, and that the IRI's “guardianship of the jurist” doctrine endows the Supreme Leader with extraordinary powers, effectively places the committee above both the government and the parliament. At the time of the Mykonos assassinations the other permanent members were Akbar Hashemi Rafsanjani, then President; Ali Fallahian, then Minister of Intelligence; Ali Akbar Velayati, then Foreign Minister; Mohammad Reyshahri, a former Minister of Intelligence; Mohsen Rezai, then General Commander of the Iranian Revolutionary Guard; Reza Seifollahi, then head of the Islamic Republic of Iran's police; and Ayatollah Khazali, a member of the Guardian Council. One of the issues handled by the committee was the suppression and elimination of political opposition to the Islamic Republic. Assassinations both at home and abroad were ordered directly by Ayatollah Khomeini while he was alive. The council’s operational commanders received a written order signed by the Supreme Leader authorizing an assassination. Documents of the Mykonos Case] 171-2 and 194-5 (Mihran Payandih et al. trans. 2000). 25Mesbahi noted, “I myself, in another case, saw such an order with Khomeini’s signature, although I was not the operational commander. This case regarded Khusru Harandi (Hadi Khursandi). Ironically New Zealand temporarily cut diplomatic relations with Iran over the assassinations. In 1991, Reyshahri became leader leader of the Iranian delegation to the Hajj pilgrimage. Reyshahri founded the Society for the Defense of Values of the Islamic Revolution in 1996 and stood as its candidate in the 1997 presidential election. He came 4th out four "approved" candidates. Why would a leading member of the Iranian elite-steeped in intelligence experience-leave it all to promote religious pilgrimage? This January 2006 article from the official website of Ayatollah Sayyid Ali Khamenei hints at Reyshahni's possible role. The Leader of the Islamic Republic of Iran Ayatollah Sayyid Ali Khamenei received a group of officials and executives in charge of the hajj pilgrimage on Saturday, January 28. Speaking at the meeting, Ayatollah Khamenei referred to the mental and spiritual development of Muslims as the most important goal pursued by the hajj pilgrimage. The Leader stated that the precious opportunity provided during the hajj season should be utilized in an appropriate manner. He also advised the officials and executives in the charge of the hajj pilgrimage to provide the pilgrims with the necessary facilities so that they may derive the most spiritual and cultural benefit from their pilgrimage. Further in his statements, Ayatollah Khamenei pointed out that the increasing inclination on the part of Muslim nations toward the Islamic Republic of Iran stems from the nature and character of the Islamic Revolution and the thoughts and views of the Founder of the Islamic Republic of Iran, late Imam Khomeini. The Leader of the Islamic Republic also hinted at the explicit stances taken by Iranian President Mahmoud Ahmadinejad on the important issues of the Islamic world and toward the United States, describing these stances as instrumental in raising the Muslim nations' inclination to the Islamic Republic. At the meeting, the Leader’s representative for the hajj affairs and caretaker of the Iranian hajj pilgrims, Hojjatoleslam Mohammad Mohammadi-Rayshahri, presented a report on the great hajj congress. He also referred to the holding of a glorious ceremony marking the disavowal of infidels and seven international seminars with the participation of intellectuals and scholars from the Islamic world during the hajj season. Hojjatoleslam Mohammadi-Rayshahri further said that the increasing inclination expressed by Muslim pilgrims from other countries to the Islamic Republic of Iran and their rising hatred of the United States were among the points worthy of attention during the hajj season this year. Reyshahni's role obviously goes well beyond the religious. Are the Iranians are attempting to use the Haji pilgrimage to propagandise Muslims to support the Iranian line against the United States and the West? The leader of the Iranian hajj pilgrims, hojjatoleslam Mohammad Mohammadi Rayshahri, told a seminar of Afghan people here on monday that "jihad and unity of words were two important elements which will help Afghanistan emerge out of the present crisis." Hojjatoleslam Rayshahri stated that "all the misery and tragedy which has befallen the Afghan nation is due to the unsuccessful attempts of the enemies to unfold their conspiracies in the war torn nation in order to take full advantage of the situation. Did Reyshahni visit New Zealand as reported? If so, why was a man with his alleged past and openly jihadist views allowed into this country? Who did Reyshahni meet with in New Zealand? Was he promoting the Hajj to local Muslims? Is there a danger that New Zealand Muslims could be steered towards Iranian style extremism, by Reyshahni and his operation? Perhaps some of our MSM journalists could find some answers to these questions? How long was this dude in NZ for? Surely the the SIS and the CIA would be monitoring his movements. Not even 100% sure he was here Dirk. Just relying on an iranian news report. I'm sure the SIS would have had an eye on him, if he was here. I'd be very interested to know what he was up to, if anyone else has any info. All I can say on the matter is the local authorities in my area are bending over backwards to appease the muslim minority. No one wants to be seen as a muslim-phobe. Which allows some things which should be questioned, to go unchallenged for fear of having the finger pointed. Easy for bad things to happen in those circumstances. Careful you guys.No doubt Iran is currently a tyrannical theocratic dictatorship,and is engaging in an alarming display of geopolitical brinkmanship,but don't allow that to become yet another reason to blindly bash Muslims.This is exactly what those whose aim is to engineer a nuclear "clash of civilisations" are working towards. Ma Evans-I have never criticised Muslims per se and have no intention of doing so. My beef with iran is political, not religious. In fact I most despise the iranian regime for exploiting genuine religious belief for political ends. Thanks for that clarification Trevor. A great blog,keep it up.